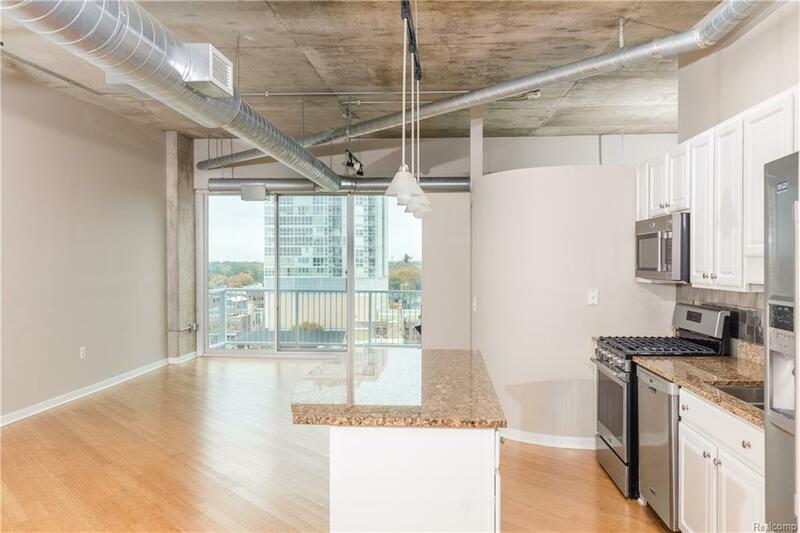 Great opportunity to own a beautiful, modern loft in the heart of downtown Royal Oak. This penthouse floor unit is at the Skylofts and has incredible views of the city and sunset. 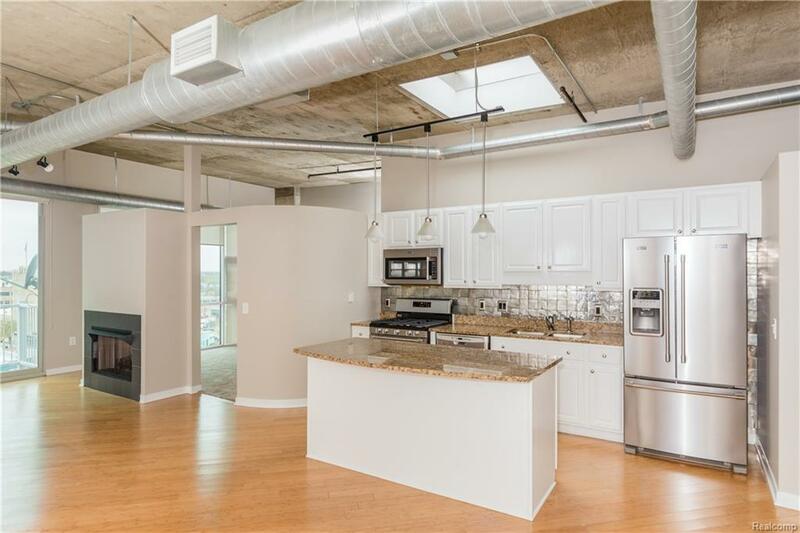 The open floor plan incorporates soaring ceilings (extra foot of ceiling height only on the 8th floor), exposed ductwork, modern design elements and an entire wall of windows, allowing for an abundance of natural light. 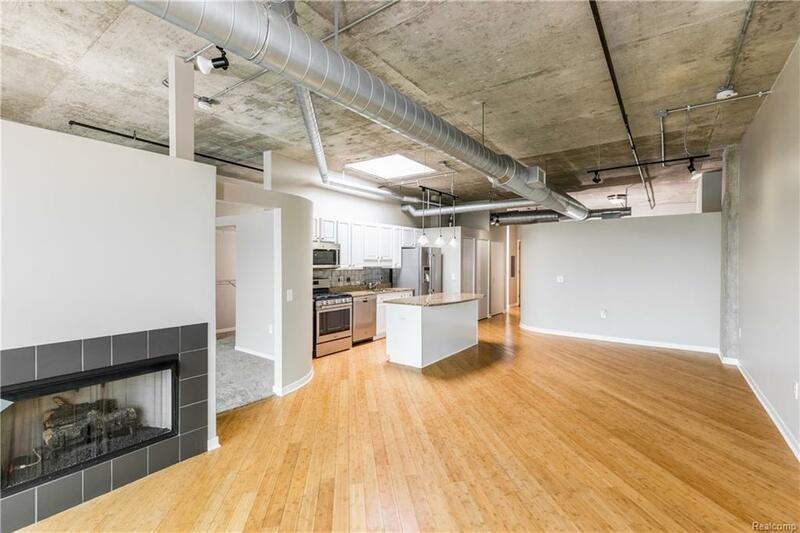 This customized loft features a modern granite island kitchen with new stainless steel appliances, a sizable dining area & a spacious great room with a fireplace. Escape to the sizable master suite that features, new carpet, a walk-in closet and master bath. A nicely appointed 2nd bedroom, also with new carpet and a 2nd full bath complete this sophisticated loft. 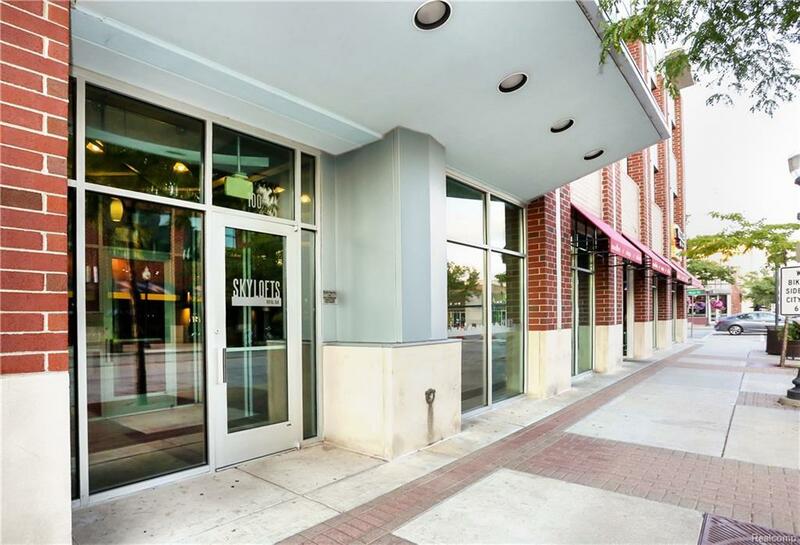 Amenities include a fitness center, personal storage locker, bike area & secured lobby. HOA dues include gas and water.